The cairn commemorates Major Thomas Mitchell who passed through the area in 1836. 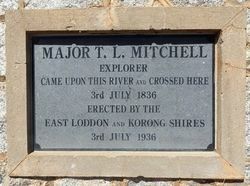 In the presence of a large crowd on Saturday afternoon a cairn with an inscribed tablet was unveiled at the bridge at Fernihurst, on the Boort road, to mark the spot where Major Mitchell erected an improvised bridge across the Loddon River. 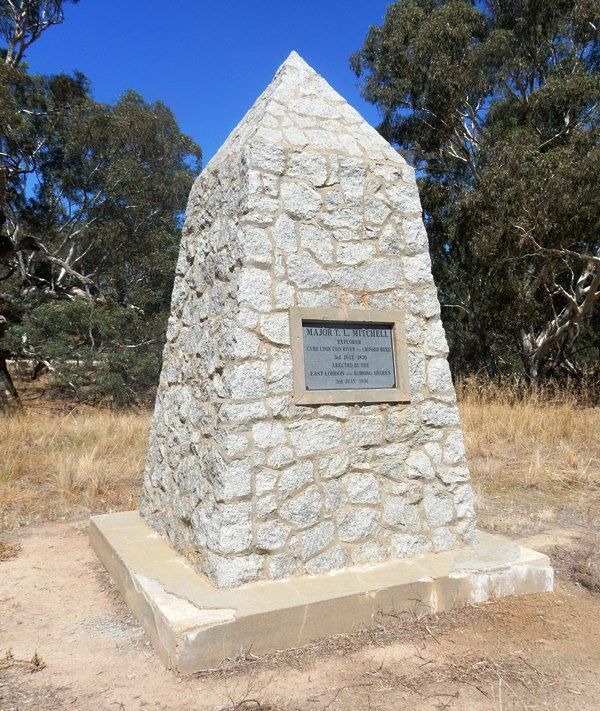 An historical sketch was delivered by Councillor Gray, of the Korong Shire. Argus (Melbourne), Monday, 31 August 1936.